Godrej AC Customer Service– Customers can refer to the Customer Support Numbers mentioned below for any queries they may have with regard to the AC products. Company runs a dedicated Godrej AC Customer Care for users to register their service issues, enquire about the products and raise any complaints. Customers can make use of Godrej AC Customer Care number which is mentioned below to enquire about the Godrej AC and related issues. Customers can visit the service centres provided below to solve any damage related issues of their product. Below service centres are located in major cities of India. Address : 3, Sonal Complex, Near Radhe Krishna Temple, Bombay Housing Board, Khokhara. Address : No.108, 2nd Floor, 9th Cross, Pampa Extn., Kempapura. Address : Plot No 2109/3 Door No 20, 13th Main Road, Vignesh Apartment, Anna Nagar (W). Area Name : Anna Nagar (W). Address : Vallav Hight Chs, Murbad Road, Near Ahire Auto, Opposite Pornima Talkis, Kalyan. Address : Shop No 7, Ksr Towers, Sangeeth Nagar, Kukatapally. If you are unable to locate service centre near your area, please visit this website. Split Ac’s have 1 year manufacture warranty and 7 years warranty for compressor. Godrej Window AC’s have 1 year warranty for the product and 5 years for compressor. Apart from standard warranty, Godrej also provides extended warranty. Extended warranty is applicable when standard warranty is expired. In order to know about extended warranty plans contact customer care. Godrej Group is one of the leading electronics manufacturing companies that is head quartered in Mumbai, Maharashtra. It was established in the year 1987 and had become one of the largest companies in the city with 4.1 billion dollars turnover. It offers number of products like Refrigerators, Air Conditioners (AC), Micro wave Ovens, DVD Players and Televisions and many more. Godrej ACs are available under the segments like Split AC and Window AC. Godrej offers Split AC GSC 18 FG 8 MOG 4920 Watts equipped with advanced features 7 Star Performance, 3.9 EER, R 290 Refrigerant, Catechin Filter, 10 Year Compressor Warranty and Free Standard Installation. You can also visit the face book fan page of Godrej AC’s. The links are provided below. on 23rd May 2013 I have purchased one split 1 ton AC from Fomra & co.and they promised me that AC will be installed within 2 days.one gentleman Mr.Rafique who is suppose to come and complete the job has not reported yesterday and when contacted today he has answered very rough, the language and tone not acceptable to any customer not only that he has refused to install AC.For your information today in morning I have again purchased two more AC of Godrej from the same company.No doubt Fomra & co has arranged another person for above job,Hat’s off to them but person like Rafique should not be there in GODREJ setup.They spoil the image of your company. I hv lodged a complaint my two split type godrej Ac units on 11 May 2013 my complaint or call no is B 1105623323 the CSN no. is 224. Technicien Musheer Khan attended the complaint.Musheer khan said complaint is only for one unit so i will attend only one. if you want another unit to be checked. iwill charged seperately.but don’t lodged complaint . finally he has taken Rs.1200/- plus Rs. 400/- visit fee.he has given only Rs 400/- cash receipt.the next moment i got sms on my cell about the estimated service charges e.g. Rs.1200/- on 13/05/2015.so far the technicien has not turned up to repair my AC. i feel i m robbed by the official technicien of a reputed company like Godrej. how can one believe on the reputation only. on this web site i find many complaints not answered. where can i approached so that my woe is taken care of. I have purchased 1 ton split GODREJ AC,but in few time & in the warranty period it failed & no one take responsibility from your company.I have seen worst service of godrej company in my whole life.Please KINDLY take action against it otherwise i will take the way of GRAHAK SURKSHA MANDAL. I Dr. SHIRIN VASHISHTH have purchased 1.5Ton godrej split AC on 18-3-12,but installation was done in first week of April 2012. I was told at the time of purchase that i will get 2 dry and 1 wet service free; but unfortunately no one contacted throughout the year. Now at the beginning of the season i requested for free wet service from the service center, they refused saying warranty is lapsed and i am not entitled for free service now. I am trying for last 15 days but no body is entertaining.I request u if u can do something for me and increase faith for your company. and increase faith for your company. 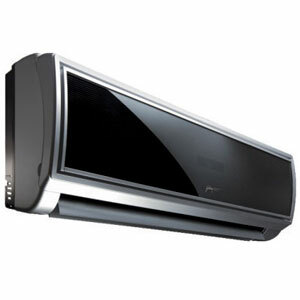 i purchsed godrej ac last february. one of the worst service i have ever seen. for every service/complaint with the toll free i have to speak to the area manager / regional matter to sort out my problem. Even after 13 days of my bookng for the service no one has turned so far. and do something on that time it is working fine after 2 day its perform-ens goes down slowly. please do some thing as soon as possible f you dont do some thing than i will go to consumer court. i m Harjeet I logged a complaint on 14.08.2012 and my call no is D 1408248313 and CSN No-767 but call is still pending till date, i have several remainder in your customer care cell and talk with executive Mr Samesh and Nitin Garg but call is still pending Nobody can Resolve this. I request to you please do some thing as soon as possible. If you dont do some thing than i will go to consumer court. A complaint was booked on 18th July, 2012 with the customer care toll free number 18002095511 but no visit was made till 23rd July, 2012. i again made a call at the customer care number. They provided me with the detail that your complaint has been given to M S Servive Point, Ludhiana. After checking the number of M S Service Point on internet i got a landline number 0161- 2441090. After calling on that number a visit was made next day and i was told that the compressor of my ac is not working and has to be replaced and took a copy of bill and Rs. 375/- as visiting charges and assured me of giving me a call next day. The were showing themselves to be representatives of Godrej. Next day i got a call and the person on other side told me that sir you have booked a complaint and our representative will visit you shortly. I was shocked. I told him a visit has already been made. I told them whole story and they replied that they are the old partners of the firm who are working on our name. Finally, all this means somebody else is working on behalf of the company and in the name of M S service Point and cheating Customers. All i request to the company to keep a check on this and also the loss borne by me should be compensated by asking M S Service Point people to make a visit free of cost. i m Ravi kumar my Godrej AC is not working properly from the last 2 years I am fed up with your services & your services men don’t know how to speak with customers, your service is too bad..
Only time the customer care was active when they wanted subscription for 4 year extended maintenance contract. After collecting the cheque they have disappeared. Why can’t the Indian co.s match up to MNC’s setting up shop’s in India. The resources are from the same pool within the area. I think it has got to do with value system inside these indian co.s. Godrej can seriously think about closing down their businesses or soon will be forced to do it if they cannot live upto the expectations of the customers. From Oct 2011 my AC is not working ,we have lodged complaint ,person came checked everything and said Fan motor is not working , i will consult in office and let you know . no revert for next 8-10 days again we have lodged complaint new person came he diagnose the same problem had a talk in office and said we will let u know , after a week when we called the incharge of service centre said you are not under contract , i am not able to see your details etc…. this is really surprising…. Again 3-4 days we called up so he said i will discuss this matter with Godrej customer care and let you know ..
when everything is mentioned in contract why the hell these service centre person let go things i dont understand ..
oh my god how many complaing costumers for this air conditioner from Godrej! i simply googled and found this phenomenon of dissatisfaction about the [roduct. the feeling is same from kashmir to kanyakumari. well let me also join in the elite club of harassed customers of Godrej. i have purchased an ill-fated AC from their dealer P obul reddy and sons in Tirupati, AP on 24042009 hoping that it id make the summer cool and comfort. but to my horror the unit started giving nightmares to me right from the day of installation and till date the condition hasnt changed a bit. to compound this the service quality is abysmally low and loathsome. the company spends crores of rupees on advertising and cares two whoots for after sales service. finally i hv decided enough is enough and am planning to file a complaint with consumer forum. my sincere advice to all those who are planning to buy a Godrej product pl think again and be ready for some nasty experience. This is to inform you that Godrej has the worst after sales services for their products. I bought this AC last year on April 17th, I was really happy because this is my first AC. It was working absolutely fine in my old house then I got it reinstalled in my new house. After 1 month I started facing problem with its cooling. I have called Vivek’s up so many times but there is no response. Then I visited their customer service center twice but no response. Then I logged a complaint last month Complaint No-443201 satisfaction No-430 which was closed without informing me. Then it was told to me that your AC is under warranty and it will be serviced by Vivek service center technician. But no one came. Last week I did the same mistake to log a complaint with you guys Complaint No-447903 Satisfaction No-765. Again vivek customer center (04430442268) called me and promised to send their technician yesterday. Some one named Raman promised me this and said if you face any problem call me on 9500027629. I called him but there was no-response and no one turned up. Today morning again I received a call from the same number saying “sir this is regarding your complaint” . I thought OK this time may be I am lucky I will get a technician to repair my AC. I asked him to come by 11:00 am. I am writing this mail at 12:30 no one has turned up. Its a request please take this AC back as I don’t think you can do anything about it.